Salad can be a small side or a big meal. 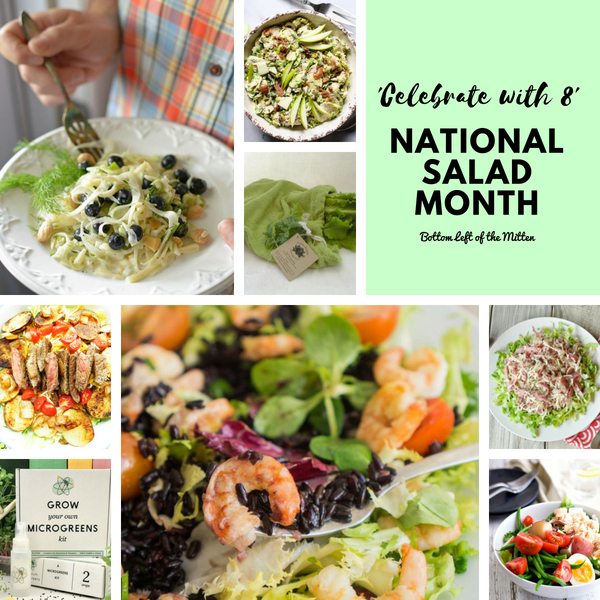 ‘Celebrate with 8’ for National Salad Month. 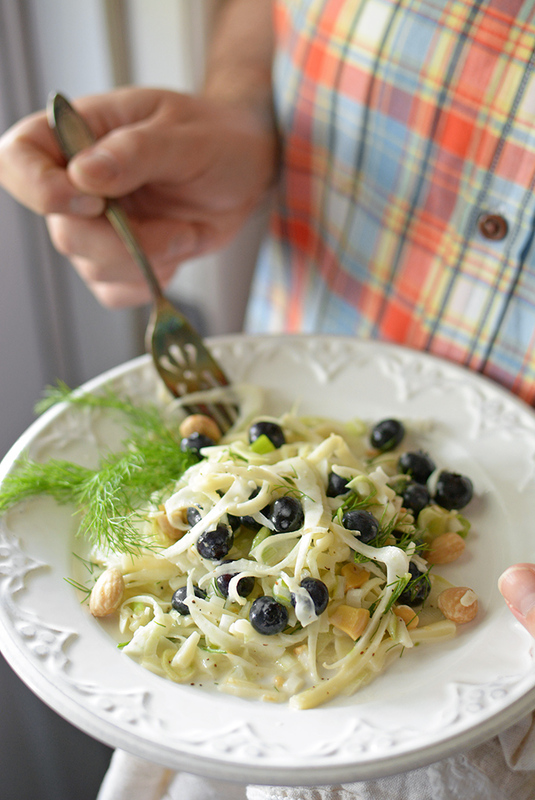 Crisp fennel and kohlrabi mixed with sweet blueberries and a creamy Honey Lemon Dressing. This Fennel, Kohlrabi, and Blueberry Salad from Simple Seasonal will have you eating it all Summer long. The green you usually think of in a salad is lettuce but what about using something entirely different? 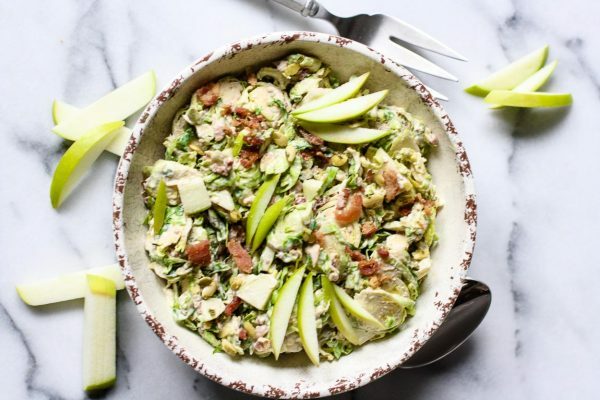 Try this Shaved Brussels Sprouts & Apple Salad from Kitchen of Youth. Brussels Sprouts set the stage for smoky bacon, sweet apples and a Vegan Caesar Salad Dressing. Start a little garden of your own so you have toppings for some really great salads. 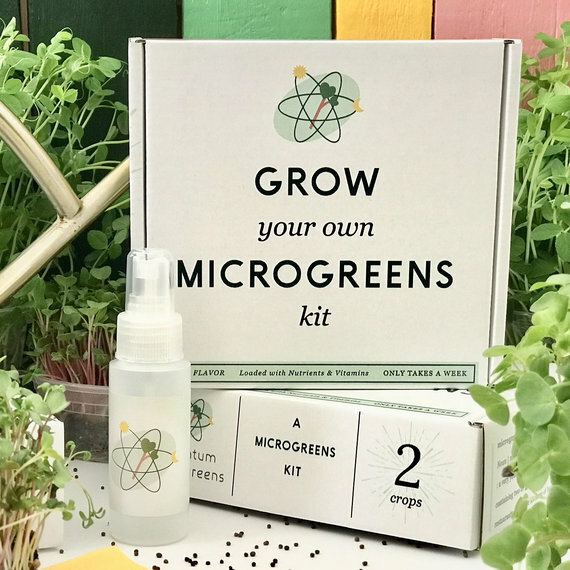 Grow Your Own Microgreens Kit from QuantumMicrogreens. This great company is offering Bottom Left of the Mitten readers a $2 Off Coupon – Just use SALADMONTH2018 at checkout. Want a quick and healthy lunch that leaves you satisfied? 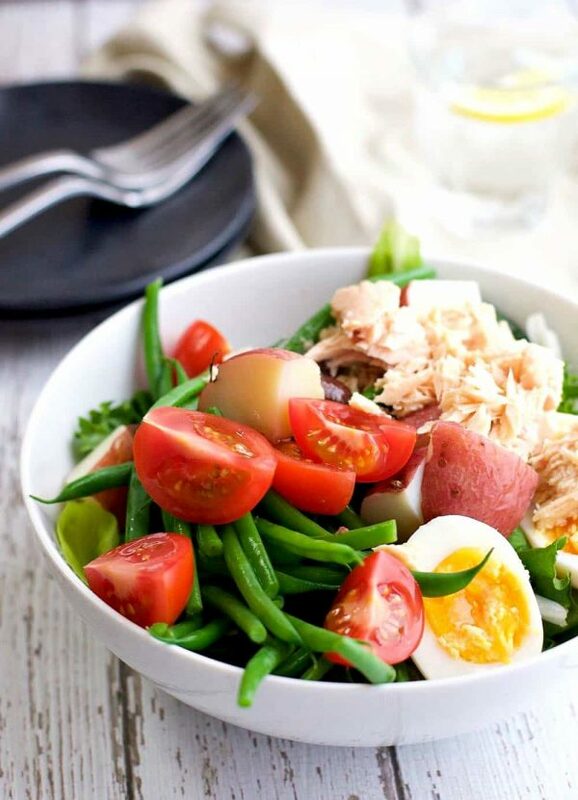 Easy Salad Niçoise from Pinch and Swirl is loaded with potatoes, tuna and a homemade Dijon dressing. 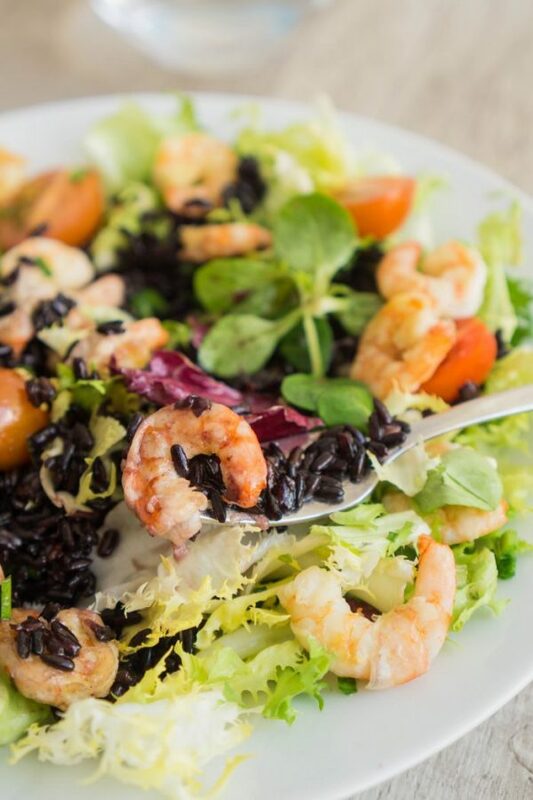 This Black Rice and Shrimps Salad from The Cookware Geek is hailed as a ‘exotic twist to the regular shrimp salad’ and it sure doesn’t disappoint. Drizzle with a honey dressing for the perfect finish. 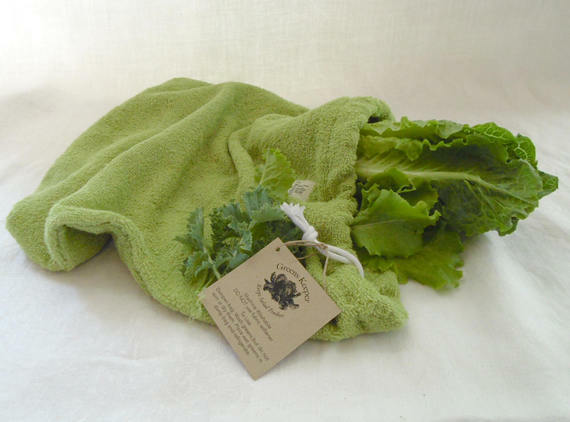 Keep lettuce fresher longer with this Greens Keeper from LilacHillDesigns. 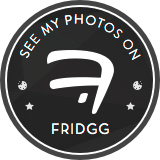 Perfect for your fridge or a gift for the foodies in your life. 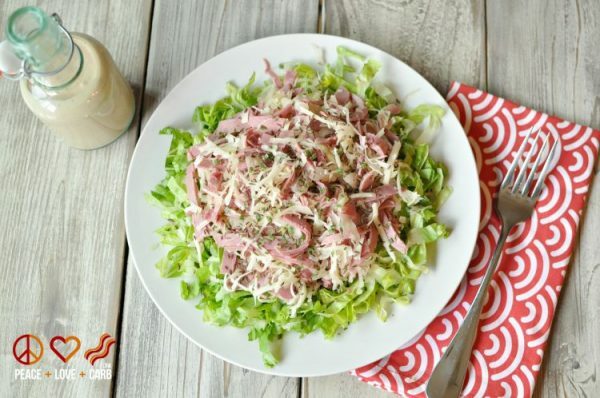 Take a beloved sandwich, throw out the bread to make it a salad and you’ve got a Low Carb Reuben Chopped Salad with Russian Dressing from Peace, Love and Low Carb. All the makings of a family favorite. 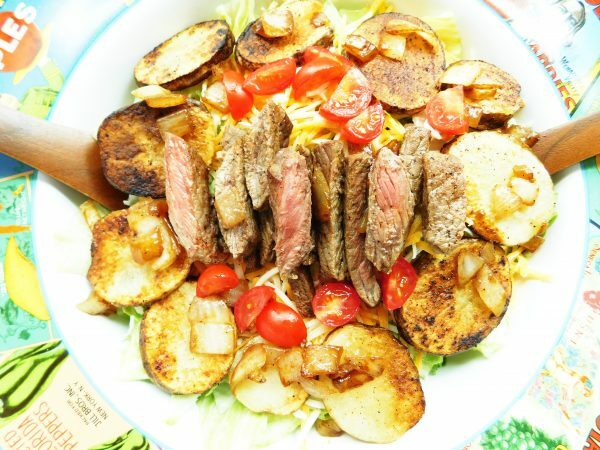 Spice things up with this Cajun Steak & Potato Salad then cool things down with a Poppy Seed Dressing. A dinner salad that will have you eating your vegetables and asking for more. Grab your vegetables and leafy greens. Or grow your own. Celebrate. I want to try them all! Thanks so much for including my Salad Nicoise! Thank you Marissa for being a part of this post. Your salad, just like all your recipes, looks amazing! !